When people get older and can no longer work, they need a system in place to support them financially should they require any help with medical expenses. With old age often comes more visits to the doctor and this is where Medicare comes in. Medicare is a single payer system that provides health insurance for those enrolled ages 65 or higher. It also covers young people who are disabled as well. It was originally introduced in 1956 to support military families and was extended by president Lyndon B. Johnson in 1965 to cover all people over the age of 65 regardless of medical history or income. Before Medicare was introduced, only about 60% of Americans over the age of 65 had health insurance. This was because insurance companies discriminated based on medical history and refused many older people coverage to due their risk factor. Medicare was also used to desegregate waiting rooms and hospitals all over the country as the funding of it was based on terms of non-segregation. This was a huge leap forward in the progress our country had towards getting all of its citizens due coverage. 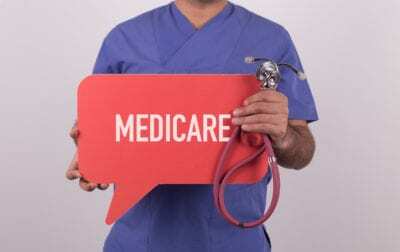 Those eligible for Medicare in America include anybody over age 65 who is a US citizen and has been a legal resident of the country for at least 5 years and paid Medicare taxes for at least 5 years. Also eligible are those who are under 65 but disabled and receiving social security benefits. People suffering from end stage renal disease or who need kidney transplants are also covered by Medicare. If you have not paid Medicare taxes for 10 years you can enroll in Medicare by paying monthly premium. Open enrollment begins 7 months prior to your 65th birthday, and the annual election period from Oct 15th- Dec 7th. Medicare is not to be confused with Medicaid, which is a state and federal program that mainly offers coverage to low income seniors. Some people qualify and are enrolled in both Medicare and Medicaid. Hospital insurance covers all inpatient hospital stays including tests, semi-private rooms and food. The maximum length of time that hospital insurance covers is 90 days. This part of Medicare helps pay for costs not covered by hospital insurance, usually for outpatient costs. Nurse visits, chiropractic, blood transfusions, dialysis, chemotherapy, certain drugs, hormonal treatments and other things are typically covered by medical insurance. Medicare advantage plans are also plans that cover costs not normally covered by normal Medicare, but they vary in what they cover and how much. These plans are basically for those who want to predict which types of coverage they will need in the future and pay specifically for that. This is coverage for any prescription drugs you may need. It covers almost any drug you might need as it’s required to cover 2 different types of drugs in 148 different categories. For low income seniors, the amount of coverage for prescription drugs is usually so high that they never have to pay out of pocket for prescription drugs. Medicare can be a complicated thing to understand. That’s why non-profit companies like Green Box Solutions are attempting to provide elders with everything they need to know when it comes to preparing for the future. Contact Green Box today to learn more about Medicare and health insurance coverage for the elderly.